How is going your week? Mine is so busy but I found time to write you my last post of the fashion trends series with Zaful. We talked about dress and swimwear but today is the time of accessories! What are your favorites? I use to wear a lot of different earrings but a must in my wardrobe are bags! I can have… maybe… 4 bags of the same color but I love to have different shapes and styles. As I did with my first and second posts I will talk about some styles and categories, four to be exact, and I will show you my favorite pieces in every category. Fashion bags: In this section you can find the latest trends about bag and backpacks. I have more bags and no so much backpacks but I have to confess they are really comfy and useful for travellers. Because of that, I picked for you two from this category; Cover metal solid color satchel Backpack, made with faux leather and with the perfect mix of elegance and usefulness. I just love its metal details and you can find it in a lot of beautiful colors. I also chose this Metal ring tassel Handbag with is a total trend right now. I have a metal ring bag that you probably saw on my Instagram and I love it because it is so beautiful and so useful. If you are tired to wear it on your shoulder, you can take it in your arm or hand. Black crossbody bag: Most of my bags are crossbody bags and most of them are black. I found this beautiful Embroidery faux pearlscrossbody Bag and it is perfect if you want to turn a common bag on a special piece with these floral details. Black handbag: To finish my selection I had to add a waist belt bag, this in Buckle faux leather waist belt Bag. You can wear it with a jacket or a coat like a belt and it can’t be more beautiful and trendy. 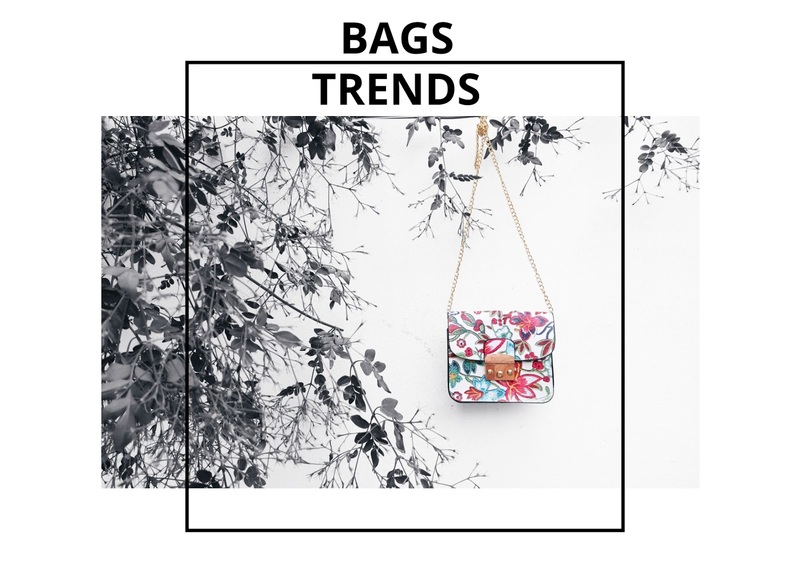 What is your favorite bag trend? Are you a bag addicted like me? Yes!! Bags are a wonderful accessory that make a look even more perfect. Thanks for your comment, beauty! Yes! It is so beautiful and useful. Nice bags my dear. I always love switching my bags for different outfits.